…On the second day of Christmas my green friend gave to me…two re-purposed pallets…and a smart ther-mo-stat! My green friend knows I love up-cycled/repurposed objects that would otherwise be clogging our landfills.”Waste not, want not” is definitely one of my favorite mantras 🙂 So these pallets were not just pallets, they were now functional items that I will use. Up-cycling is the opposite of down-cycling which completes the recycling process. Down-cycling is the process of converting materials into new materials where up-cycling is the process of keeping useful items out of landfills by re-using them for another purpose. 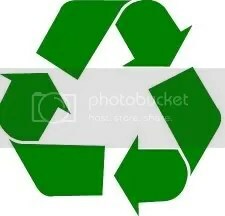 The universal recycle symbol came about in 1969 by way of a contest for art students across the country to design a symbol to raise environmental awareness to debut as part of the first Earth Day in 1970. A 23-year-old college student attending the University of Southern California, Gary Anderson, won the contest sponsored by the then Container Corporation of America (now part of Smurfit-Stone Container) with his Mobius strip (a single-sided looped surface) design. Although the symbol has many variations it remains similar to the original design. Up-cycling or “creative re-use” formerly was associated with impoverished areas and countries. That’s not so much the case anymore as up-cycling has been incorporated into the arts, music, industry, gardening and technology. Many of us own items that have been made from recycled plastic bottles. 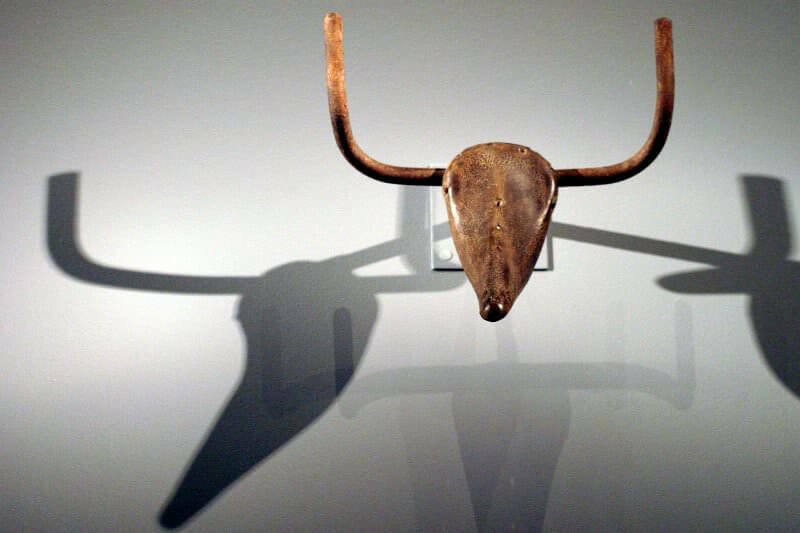 Let’s face it, “up-cycling” is not new, Picasso created his work of art, Bull’s Head, in 1942 using a bicycle seat and handlebar. The Amish made quilts from scraps of leftover fabric. Simon Rodia constructed the Watts Towers in Los Angeles from 1921 to 1954 using rebar. Marcel Duchamp created his 1917 “Fountain” from a porcelain urinal. This new-found awareness by a larger part of our population is now mainstream among artists, builders, crafts people and sought after by consumers! Old cars are now being restored and are “classic cars”, renovated old travel trailers are part of the “glamping” rage, Earthship houses are part of the eco-friendly housing construction sector that use glass bottles and aluminum cans. If you are looking for ideas to repurpose an item go to the Pinterest.com website and search for that item. You will find a multitude of ideas and projects, many with instructions. So, on this second day of a green Christmas, my green friend gave me 2 up-cycled shipping pallets. 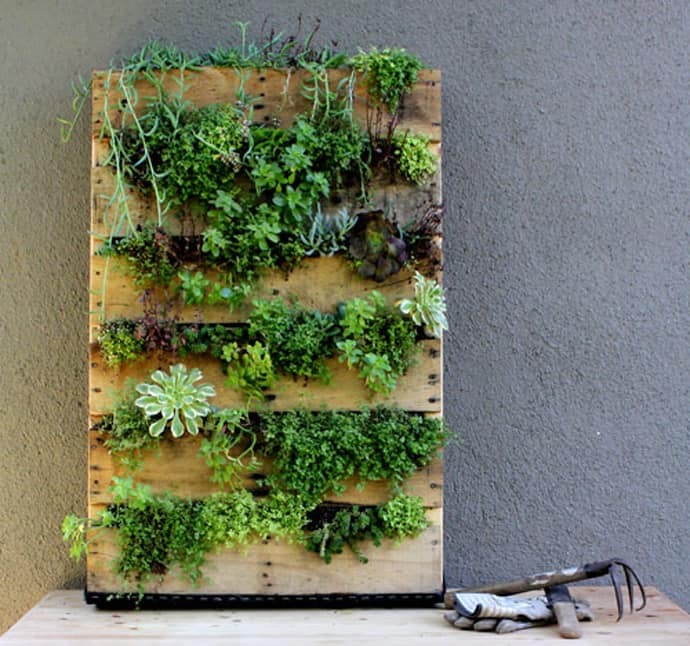 One will be new “shelving” for my kitchen and the other will be near my kitchen door growing the herbs I use often. 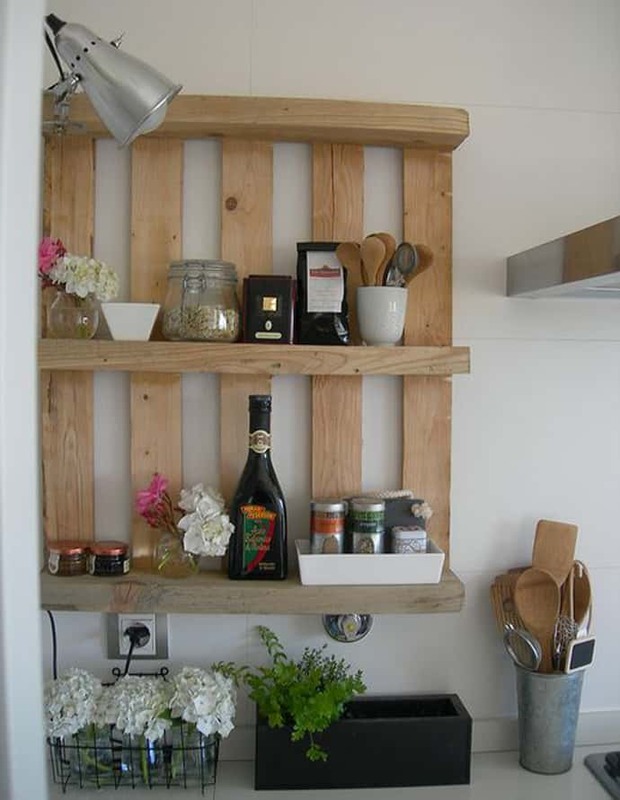 Share your pallet project pictures to the comments below.